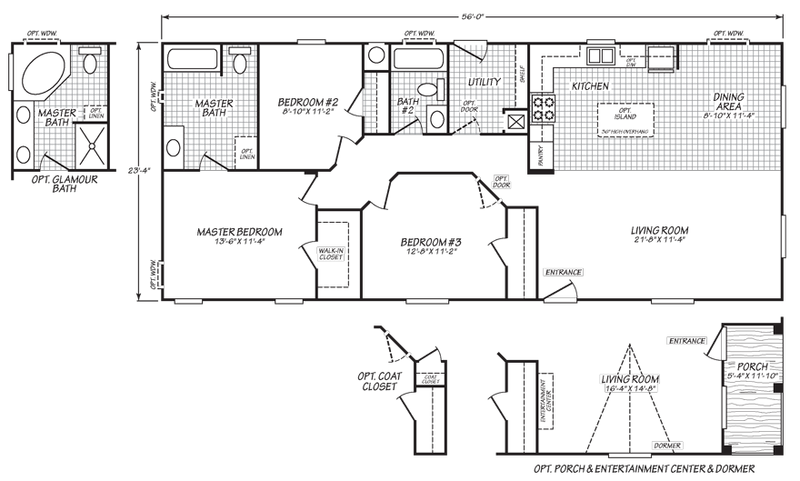 Double wide mobile homes offer the space that families need at a budget-friendly price. 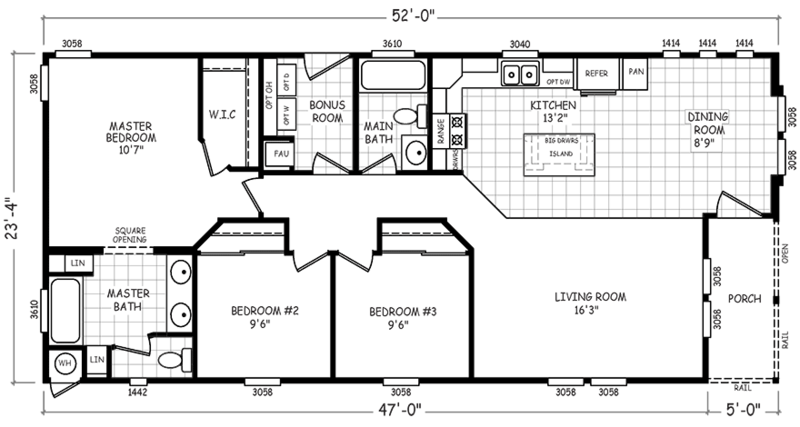 These mobile homes are roomy and inviting, and they also come with a number of customization options. This means your new home can reflect your personal style preferences. We offer beautiful family homes manufactured by Fleetwood Homes, Cavco Durango, and Cavco West with attractive amenities and plenty of value for your money. 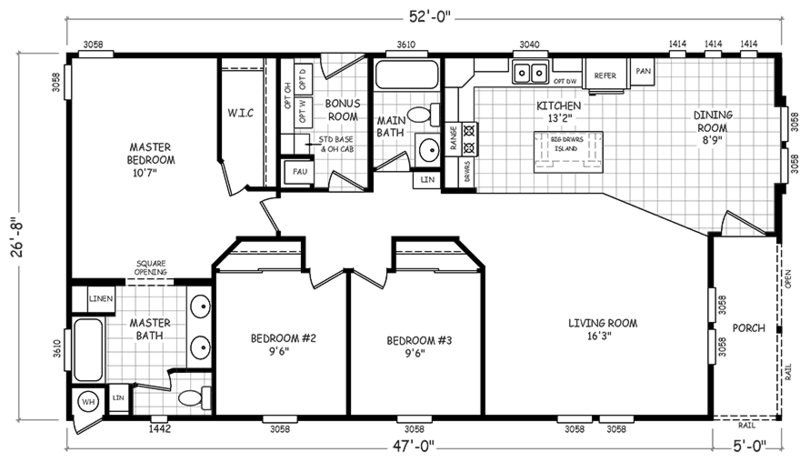 We’re proud to provide an unrivaled selection of first-class mobile homes, so you can choose a floor plan that is perfectly suited to your needs. 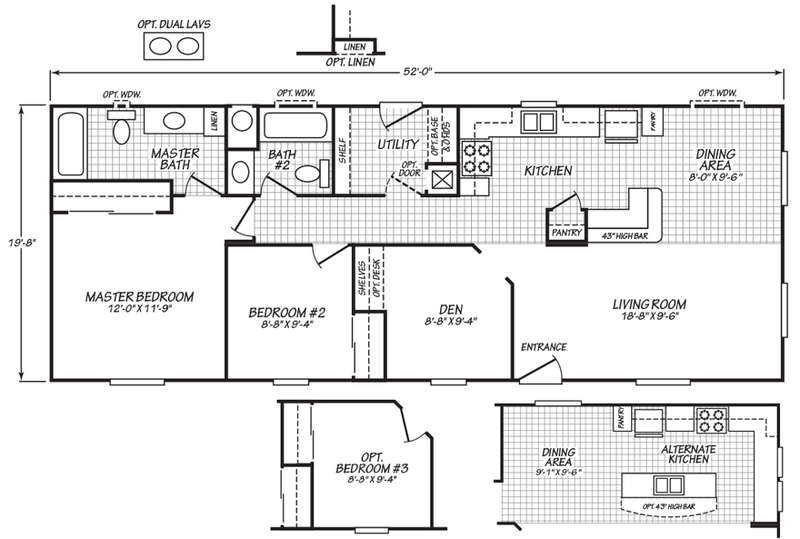 Whatever size double wide mobile home you need, you’re sure to find it with us. 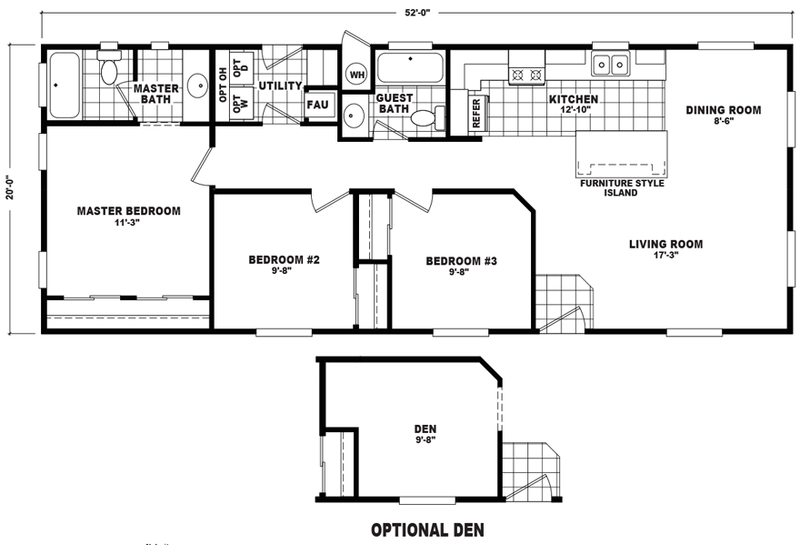 Why consider a double wide mobile home for your family? 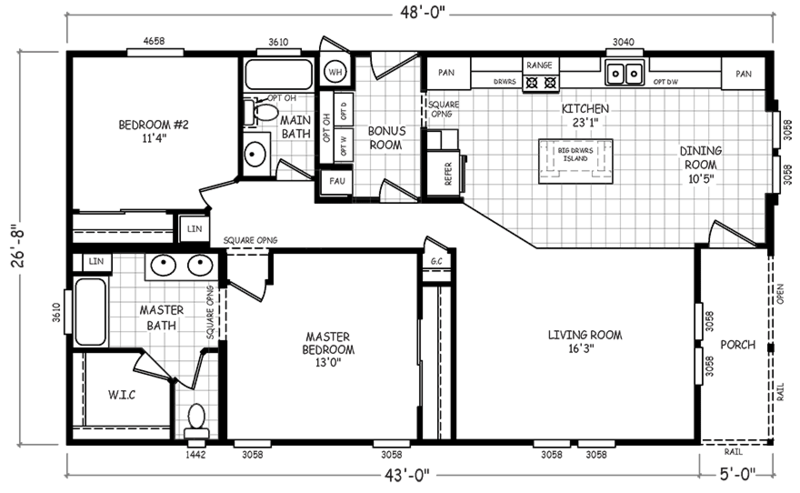 Double wide homes are the most popular type of mobile home, and there are good reasons why so many people choose them. 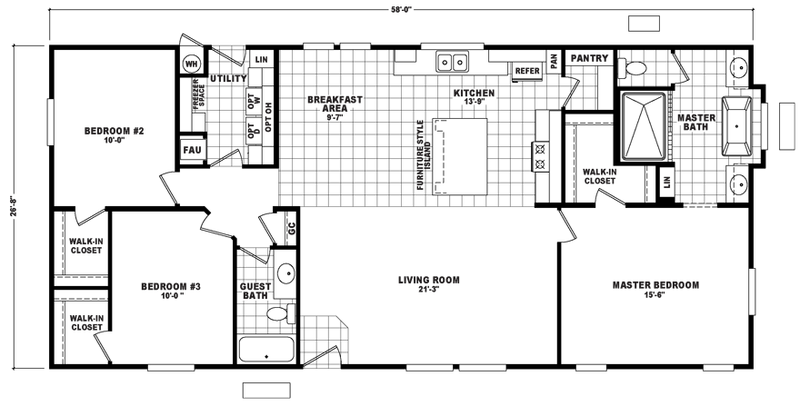 One of the top reasons for the popularity of double wide mobile homes is space. 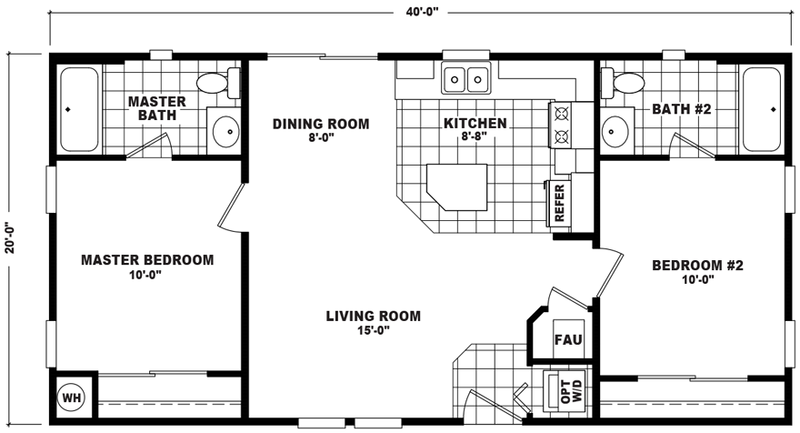 In order to be considered a double wide, the home has to be at least 20 feet in width and up to a maximum of 90 feet in length. 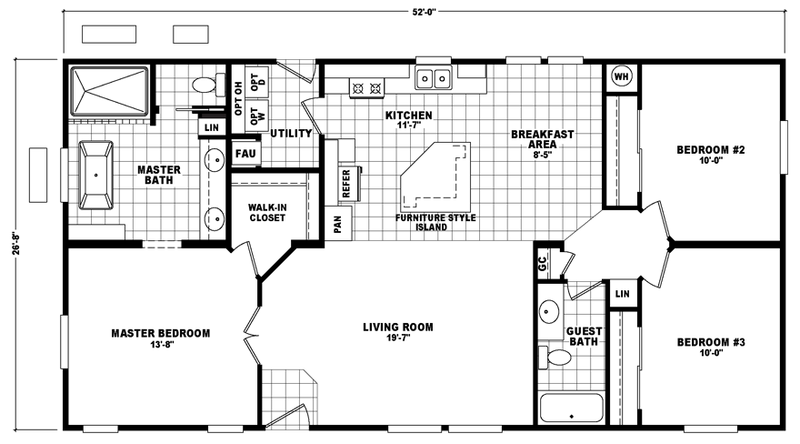 This layout makes double wide mobile homes the perfect size for many families. 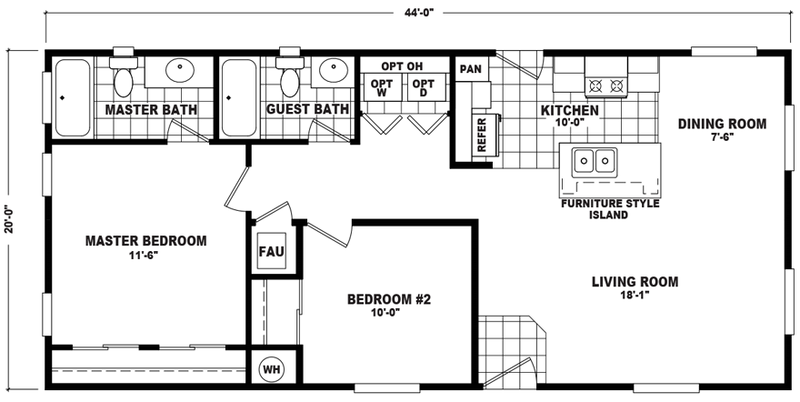 Double wide mobile homes are also popular because they can be configured in a number of different ways. Although these homes look like a single unit when they are on the site, they are actually constructed in two parts and then attached upon delivery. This effect is seamless for the homeowners, but it also means that the attachment can be designed in multiple ways, so that the home can have additional architectural features. 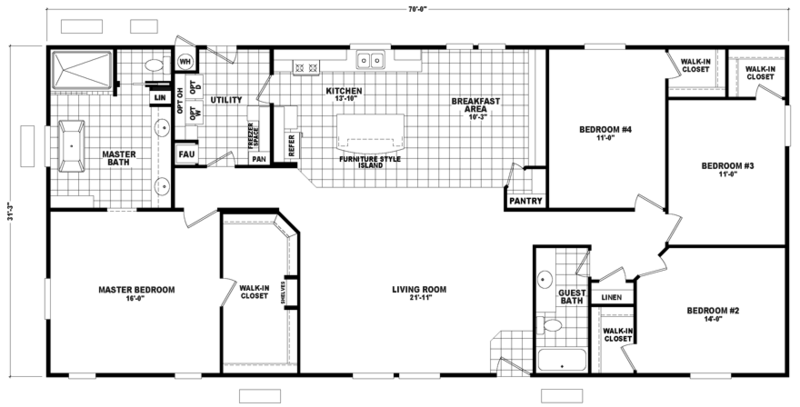 What floor plans and sizes are available? 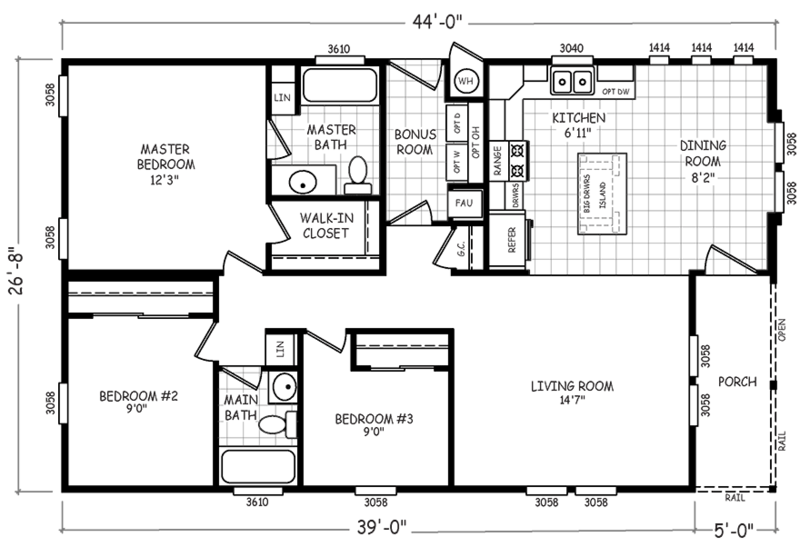 The ability to configure double wide mobile homes in multiple ways means that there is a long list of available floor plans. 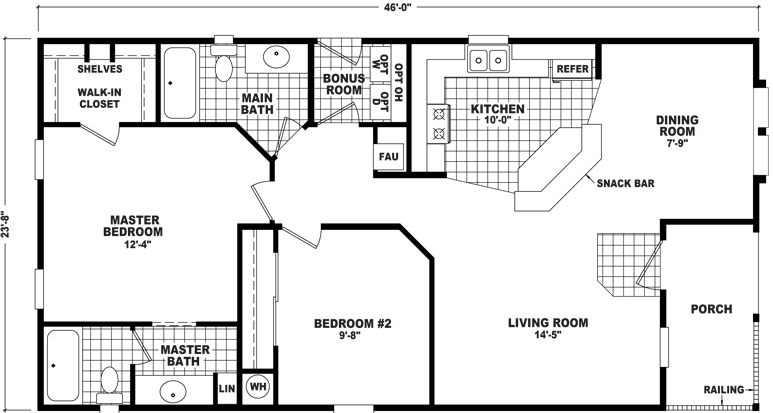 This allows you to choose the features that are most important to you. 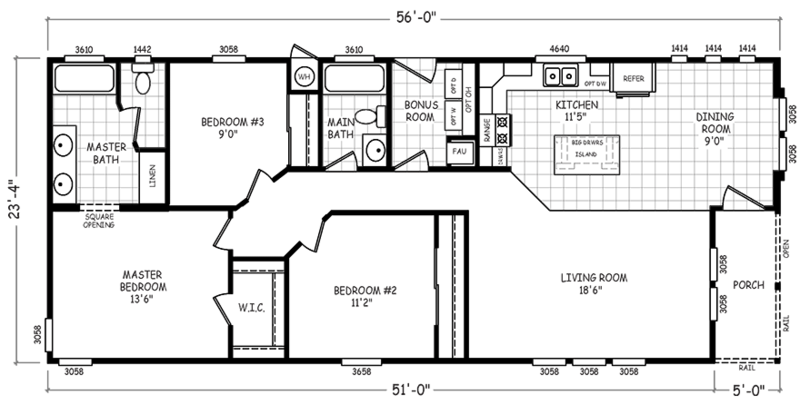 For example, maybe you want four bedrooms, but are willing to cut down on space in your living room or don’t care about having a walk-in closet. 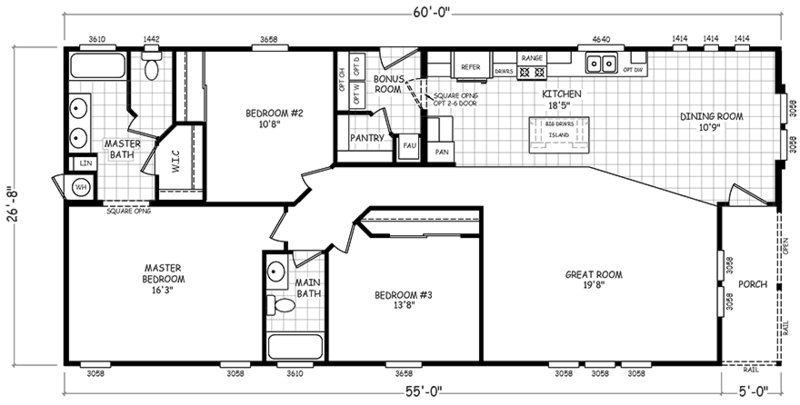 Or perhaps you only need two bedrooms, but you want to have extra space for cooking or as much closet space as possible. 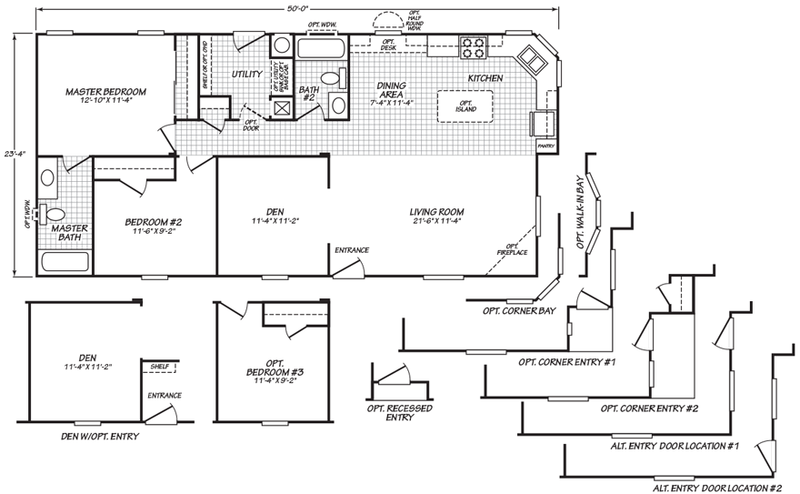 The variety of available floor plans makes finding the right layout to fit your needs simple and easy. 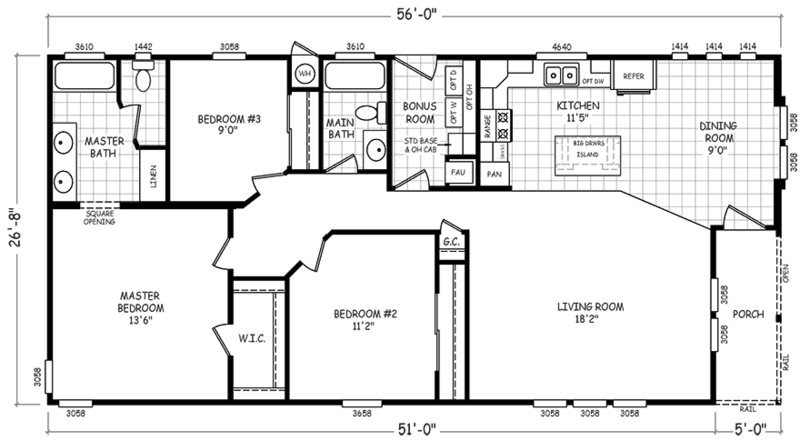 You can find double wide floor plans from 800 square feet all the way up to 2,187 square feet. 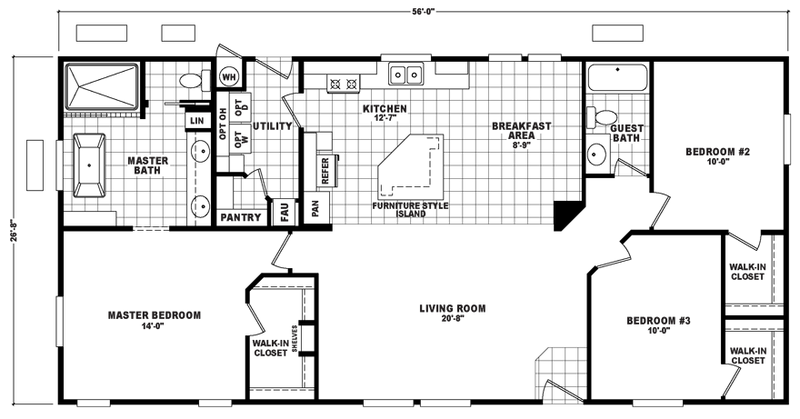 As you might expect with any kind of home, of course, the price goes up with the square footage. 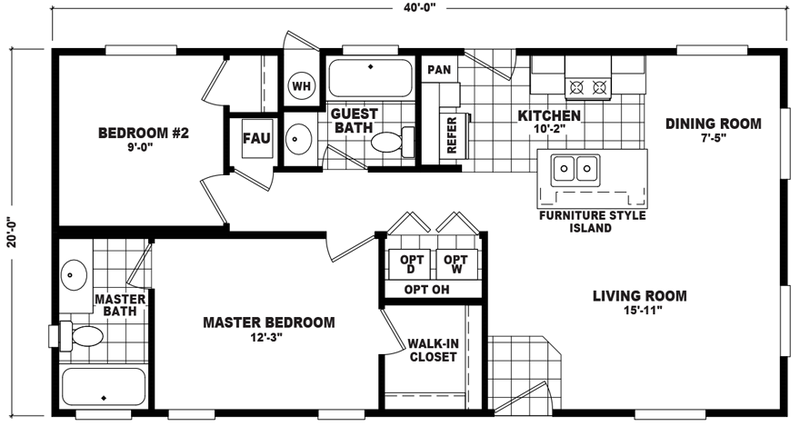 The Home Outlet is pleased to bring move-in ready double wide mobile homes to Arizona and beyond, including California, Nevada, Utah, Colorado, and New Mexico. 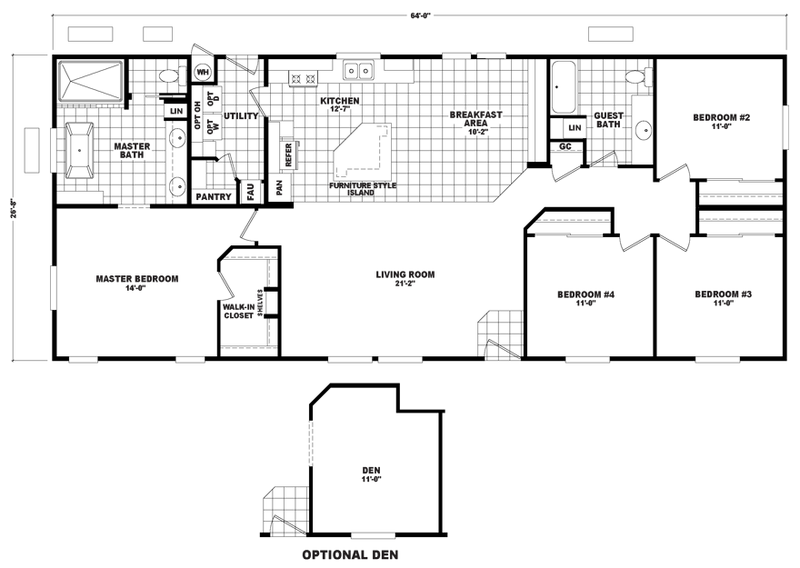 We offer customizable designs from Cavco West, Cavco Durango, and Fleetwood Homes. Our team has worked with numerous homebuyers over the years, and we can help you find a double wide mobile home that will be perfect for you. 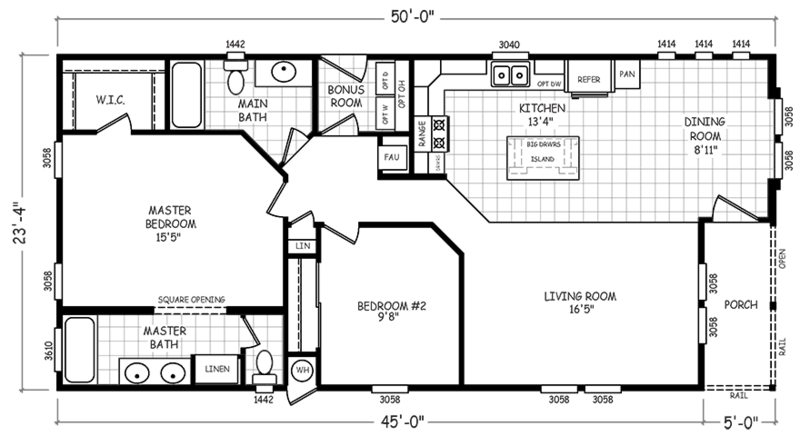 Contact us today to discuss our floor plans, or visit our Chandler mobile home outlet to explore some of our models.